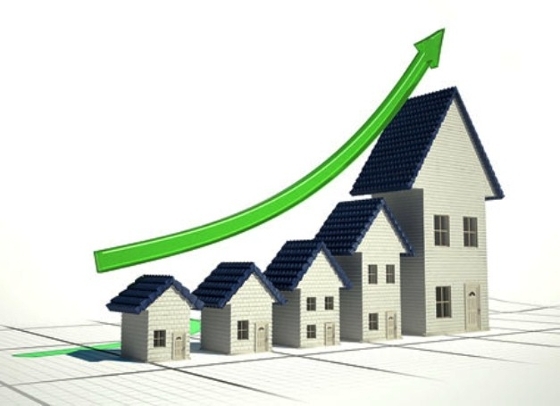 The Toronto Real Estate Board has issued sales statistics for resale residential real estate for August, 2013. Sales in August were very strong, up 21.1% over August, 2012 with 7,569 transactions, showing a market that has absorbed stronger lending criteria, as well as increasing interest rates, and continues to drive sales and prices higher - particularly in the red hot Durham Region. Starting this month, I have added months inventory to the chart. This figure is calculated using a 12-month moving average of active listings divided by sales. It is important, as it helps show why some areas are outperforming others primarily due to a lack of inventory. It also helps explain why some areas have listings that stay on the market for much longer than others - there is a lot of property to choose from, comparatively. For the entire board, there are 2.7 months of inventory. This means that a current sales levels, all of the property would be bought up in the GTA in 2.7 months (if no new listings were added). Many areas within the GTA have similar figures, but Durham Region has some dramatic differences. Overall, there is only 1.9 months inventory in the region. In Oshawa, Whitby and Ajax, there are just 1.5 months inventory. For many home types and price ranges, properties are being snapped up at a rapid pace. The average listing in Oshawa and Whitby spends just 21 days on the market. The TREB average is 29 days, and 30 days in York Region. In north Durham (Scugog/Uxbridge), the figure is over 4 months, with a higher days on market average, as well. The entire board saw an average price gain of 5.4% to $503,094. New listings this August were once again higher than sales, adding more inventory in to the marketplace. Durham region demonstrated a year-over-year composite (for all property types) price increase of 5.88%, compared to 2.97 in the City of Toronto and 3.7 for the entire board. Highlights from this month include a single-family attached price gain of 10.53% in Clarington, and a 9.01% increase in Oshawa, as well as a composite gain of only 1.56% in Whitby - well below strong gains for its neighbours. If you are interested in seeing values for an area not shown, or are interested in average prices, please comment below or send me an email - john@johnsells.ca As always, give me a call anytime if you would to discuss further without any obligation.